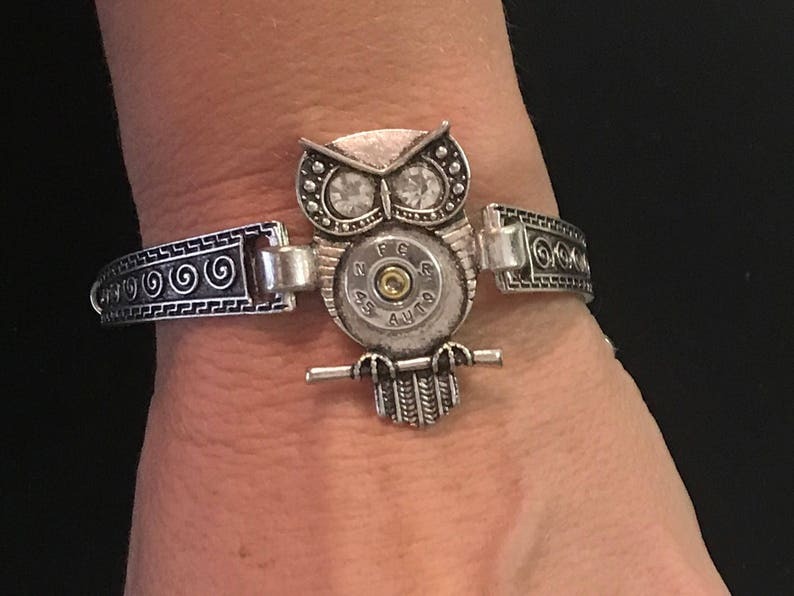 Silver spoon inspired bracelet created with an owl with clear rhinestone eyes using a recycled .45 caliber bullet shell casing. Bracelet has a lobster clasp and a chain approximately 9 inches in length. This allows it to be adjustable for a very small wrist or larger wrist. For a small wrist, simply snip some of the excess chain with wire cutters or tell me your wrist size and I will adjust accordingly. Check out the coordinating necklace here.